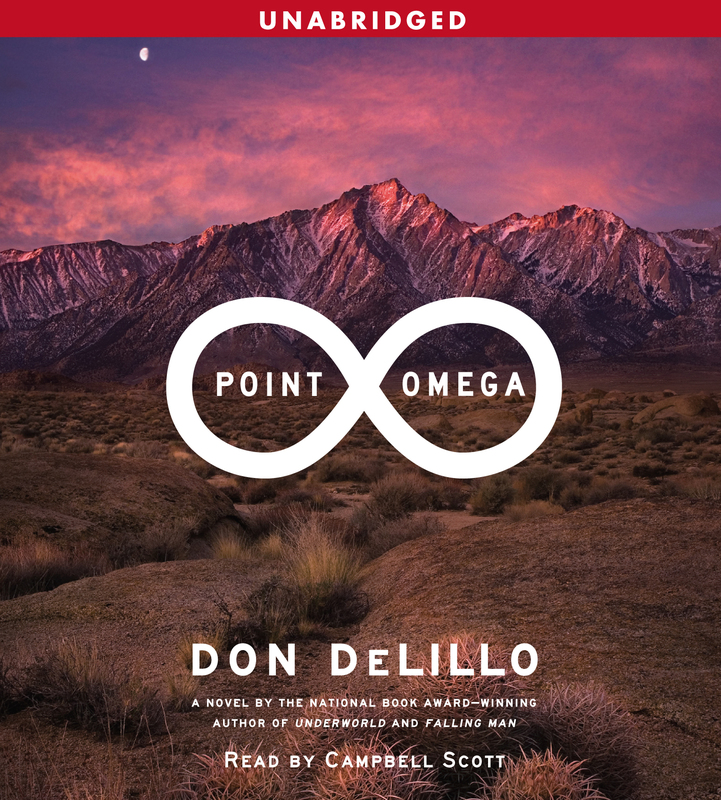 This reading group guide for Point Omega by Don DeLillo includes an introduction, discussion questions, and ideas for enhancing your book club. The suggested questions are intended to help your reading group find new and interesting angles and topics for your discussion. We hope that these ideas will enrich your conversation and increase your enjoyment of the book. Documentary filmmaker Jim Finley is divorced and adrift in New York City and looking for a subject for his next film. When he learns about Richard Elster, a scholar who was an advisor to the military for the War on Terror, he thinks he has found it. 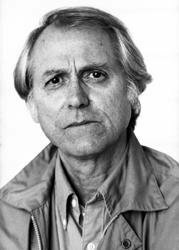 He follows the reclusive Elster out to a desert cabin in an attempt to convince him to be in a new film. The men spend their time discussing philosophy and politics, spinning their mental wheels, until the arrival of Elster’s daughter Jessie. Sent by her mother, who dislikes Jessie’s new boyfriend, Jessie changes the dynamic and sets Finley on edge with a confused attraction. When she suddenly disappears, it throws the men into a tailspin that forces them to confront the realities they’ve been hiding from. 1. What was Elster’s motivation for inviting Finley out to the desert? Did he ever intend to be in the movie, or was he simply lonely? 2. Characters are introduced abruptly in Point Omega, with context and background information revealed later. For example, we don’t find out how Elster and Finley meet until pg. 60, or about Jessie and the watcher’s meeting until the end of the novel. How does the pacing of the novel shape the reading experience? Does immediate immersion and gradual context pull you into the story faster, or hold you at a distance? 3. Elster tells Jessie and Finley that he goes to the desert to escape “the usual terror” of measured time which he feels is unavoidable in cities. He believes that time is, at heart, about fear, and that literature is meant to relieve that fear. Do you agree with his view of time and literature? Consider the origins of literature in oral traditions, which used narrative as a means of connecting to the past in what could be considered a refutation of time. 4. Would you watch Finley’s documentary of Elster, if it were real? Is Jessie right, that it doesn’t need to be a film and might as well be a magazine article, or does Finley’s project need the medium of film to be a successful portrait of a behind-the-scenes policy maker? 5. The first mention of the omega point occurs when Elster is speaking of his view on human nature and references the philosopher Teilhard de Chardin. In fact, de Chardin theorized that the omega point was the eventual unification of man and the divine – a far cry from Elster’s return to inorganic matter. De Chardin was writing in the 1950s, after WWII and before Vietnam, while Elster was part of the War on Terror. Is this difference in their interpretation formed by their political backgrounds, or is it simply a case of optimism vs. pessimism? 6. At several points during his stay with Elster, Finley fantasizes about Jessie. Was fantasy and hand-holding as far as it went, or did something more happen between them? 7. Teilhard de Chardin also believed that evolution is fundamentally a process of unification, and that current evolution is societal instead of genetic, building links between humanity that would eventually unify us as a species and wipe out distinctions like country or race. With the advent of the Internet and the many social media applications that it has given birth to, de Chardin’s theory seems applicable. Can technological advance be considered part of evolution? Do you believe that technology can unify us, or does it make it easier to enforce separations? 8. It is implied, but never declared, that the mysterious “Dennis” is the nameless movie watcher. Are Dennis, the silent phone-caller, and the watcher the same person? 9. Elster believes that humanity today yearns for extinction, and that this explains our obsession with apocalypse scenarios and with violence (pg 51). On the other hand, one could argue that we are actually obsessed with survival, and violence and apocalyptic scenarios are our attempt at ensuring it. Does humanity have a death wish, or is survival by necessity a violent endeavor? 10. The film watcher admits in the opening of the book that he is waiting for a woman to come in and watch the film, someone he can “talk” to. Is he marking out a victim, or genuinely seeking a connection? 11. What do you believe happened to Jessie? 12. While most of Point Omega is stark and conversational, it ends on a very dreamlike note as the nameless watcher reminisces. Is he speaking about Norman Bates and “Mother,” or himself and his own mother? What do you think the “spirit birds” are meant to symbolize? 1. There is a short clip of 24 Hour Psycho available on YouTube, from the infamous shower scene. Watch the clip as a group, and then discuss it. Some topics of discussion: How does it compare to the original version of Psycho? How does the experience of watching it compare with the description in the book? 2. Have each member pick a movie they would like to see in a slowed-down version, and explain why. 3. Whether or not you’re as pessimistic as Elster, time does seem to move differently in nature. Take a group camping trip or day-hike and have each member journal during the trip on how their perception of time changes. Ask everyone to leave their watches and cell phones at home (or at least in the car)! 4. Politics can be a very divisive and emotional topic. Give your group an opportunity to discuss them with ease, with the following exercise: The first sentence of Elster’s essay is, “A government is a criminal enterprise.” Have each member of the group write out their own version of this statement before the meeting, as a single sentence starting with “A government is,” on plain white paper. Fold up each piece of paper and mix them together in a bowl, then draw out and discuss the different definitions. This gives people room to discuss alternative viewpoints without having to declare their own, if they feel uncomfortable doing so.